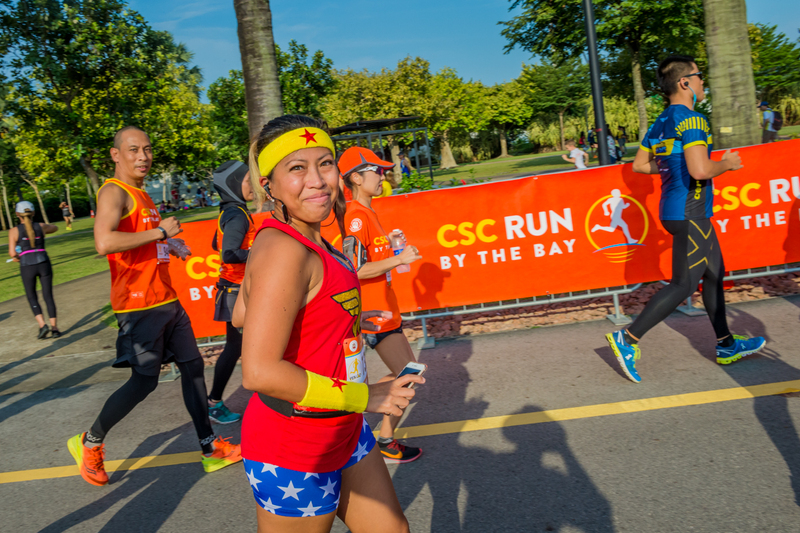 Singapore shone in its glory on Saturday evening, as 3700 runners made their way around Marina Reservoir in the new-look CSC Run by the Bay. Newly appointed event organiser MetaSport moved the event to a sunset timeslot at Gardens by the Bay East, which showcased the city at its finest under the stunning skyline. The headline 21.1km event was won by China’s Jinchao Qu who beat his rivals and the balmy Singapore sunset heat, taking the win in a very swift time of 1:17.38 over Singaporean Public Service Officer Wai Kit Lam who was hot on his heels 15 seconds back. Ghim Koon Ho rounded out the podium in third a further 40 seconds later. It was an international affair in the women’s race, where Japanese Maki Inami scorched the field, claiming victory in 1:21.24 and finishing 5th place overall just behind the lead men. Aussie April McKenna came second 15 minutes behind, with American Jenny Huang 2 minutes 30 seconds further adrift. Itsuko Tanaka, a stalwart in the Singapore running scene, was the first Public Service Officer across the line, taking 4th place overall in 1:39.35. 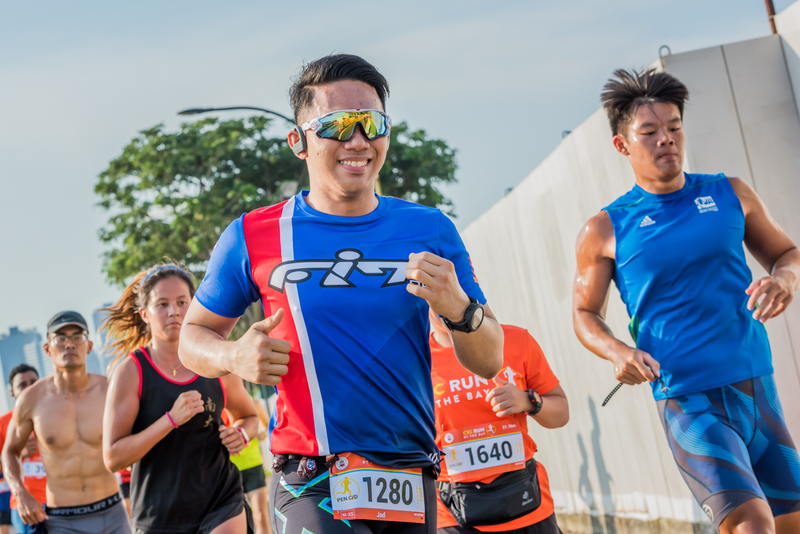 The Ekiden event drew great interest, with 51 teams of three racing relay style over the 21.1km distance, with each runner completing 7kms. Team Col stormed across the line taking victory in the Men’s division in 1:26:02, which also earned them eighth place overall. Gazelle Runners 4 and Fkr were second and third respectively seven minutes behind. The women’s race also had a run-away victor with Mr25 Power Gals winning in 1:46:45. It was the minor placings that saw the action, with just four seconds separating M&M’s and Sport Team Rp, with the former coming out on top in just over two hours. 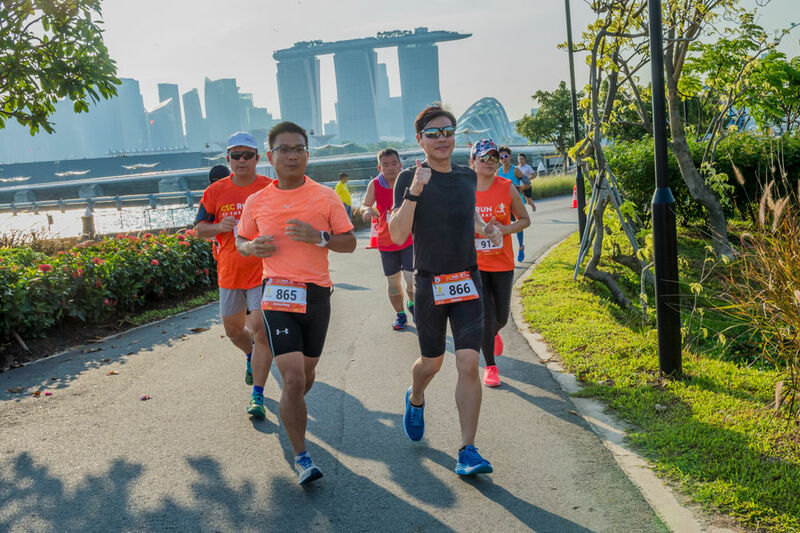 The 12.8km race heralded a new milestone in CSC Run by the Bay history, as the new distance saw 1200 athletes run a full loop of the iconic Marina Reservoir incelebration of its 10th anniversary. Subus Gurung, a Public Service Officer with the Ministry of Home Affairs, took line honours in a very zippy 45:42 with Prashan D. Silva coming second 15 seconds later, and Bijay Sunuwar third in 50:38. Rachel See was the first female across the line in 54:28, with Sharon Tan scraping under the hour barrier in 59:18 for second, and Peishan Wu coming third 90 seconds further back. 43 athletes, including two women, joined the distinguished 1-Hour Club for completing the 12.8km distance in under 60 minutes. The notable accomplishment entitles them to a special 1-Hour Club badge, certificate and name on the event website. The 6km athletes set off under the illuminated evening skyline, enjoying the cooler temperatures and relaxed non-competitive vibe. 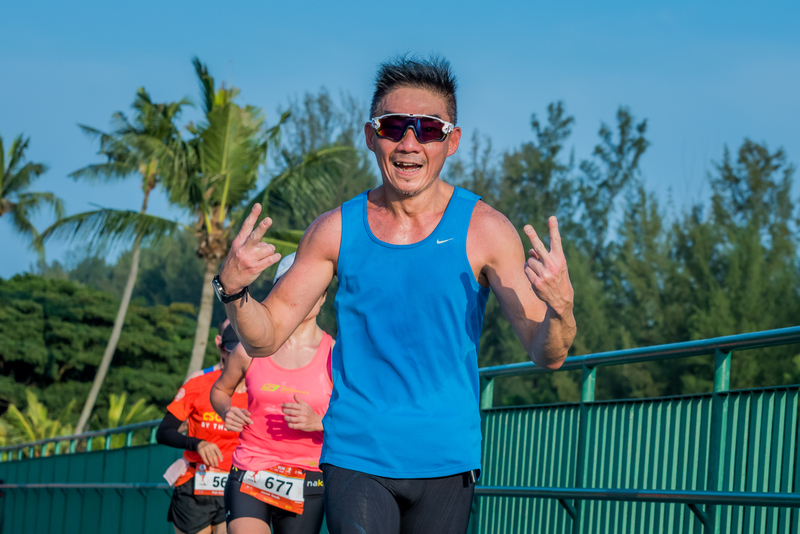 Runners still received their finish times however, and heading the pack was Mike Goh in 31:25, followed 45 secs later by Hobert Labay and Wei Ming Dai 30 seconds further back. In the female event, Angie Teo took line honours in 35:59, with Sarah Quek closely behind in 36:16 and Jaslyn Tan a minute later in 37:20.
s were the Ministry of Education, followed by Ministry of Home Affairs, and the Housing and Development Board. Participation is a big part of CSC’s ethos, and Government Agencies were encouraged to enter as many runners as possible. The Ministry of Health won the Division 1 Best Performing Agency Challenge with 324 runners, Ministry of Education was 2nd with 238 runners, and Land Transport Authority 3rd with 102 runners. In Division 2, JTC took the title with 132 runners, closely followed in 2nd place by Republic Polytechnic with 130 runners, and Ministry of Manpower with 60 runners. Charity played a large part in the event, with a record sum of over $220,000 raised by runners for the adopted charity New Life Community Services. The event offered families a great evening of sport and entertainment, with races for all ages. Teens could join their parents in the 6km event, with younger runners having their moment to shine in the 1.28km Kids race. Dancing, music, food and festivities greeted the runners as they returned to the venue, to celebrate a job well done. For all it was perfect blend of sport and entertainment on a Saturday evening.